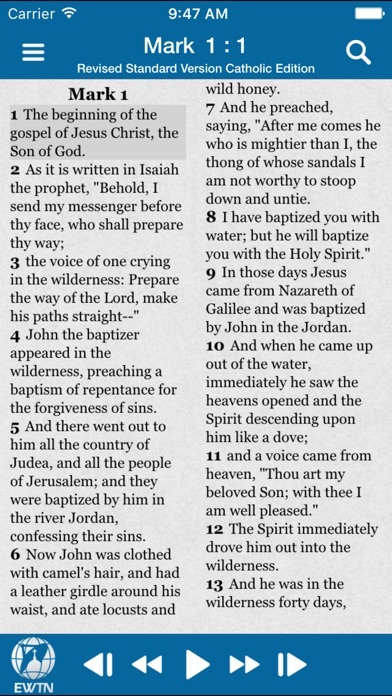 The New Testament is Read a wonderful voice that brings such peace and joy! I wish my 19.99 included the old and new testaments, not just the new in audio !! I am not able to cast the programs anymore. Tactics to manipulate the viewers? 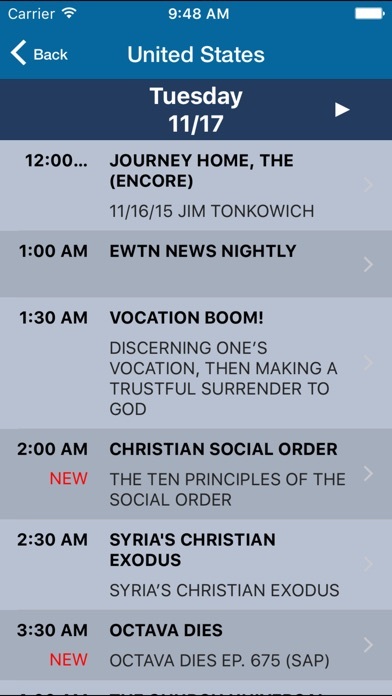 Ewtn has changed the world and having access via the app has changed my life. This is a wonderful must have for all faithful Catholics. Please support this wonderful Christ centered ministry! I love EWTN so much!! I began to watch some shows like The Friar (or La Casita Sobre la Roca in Spanish) and I became warmed by these simple lessons of faith, perseverance, forgiveness, and much more! But, there is one little bug that concerns me.There may be a little glitch on the Religious Catalogue on the EWTN IOS app.When I rented the documentary A Wolf in Sheep’s Clothes, when I took a moment to pause and try to exit the movie, so I could watch it later, suddenly the app kinda restarted, and then I saw that the movie no longer was rented, and I had to pay once again! I tried to rent it once again, but when I tried to exit it temporarily, the error once again happened. I am kinda concerned about this glitch, and I hope that you may be able to fix in the near future. I am not complaining about this little error, but I just wanted to let you know about this issue so you could be able to fix in the future, in another update. I love EWTN so much, and there is nothing that will stop God’s love for His World and beautiful Creation!!! God Bless You, all of you! There’s an option to purchase the video of the Holy Rosary with Mother Angelica, which I did. 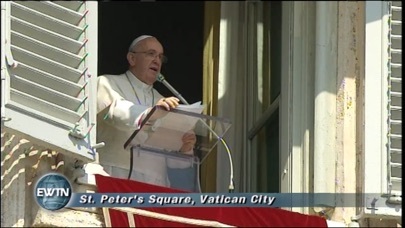 In the description, it states that there’s videos for the Sorrowful, Joyful, Glorious, and Luminous mysteries. There’s videos for all of them but the Luminous mysteries. This should be fixed/updated. Otherwise, this app is great! I use it all the time! My only wish is that they had more catholic approved translations (including audio). Latin especially, Duay-Rheims, etc. 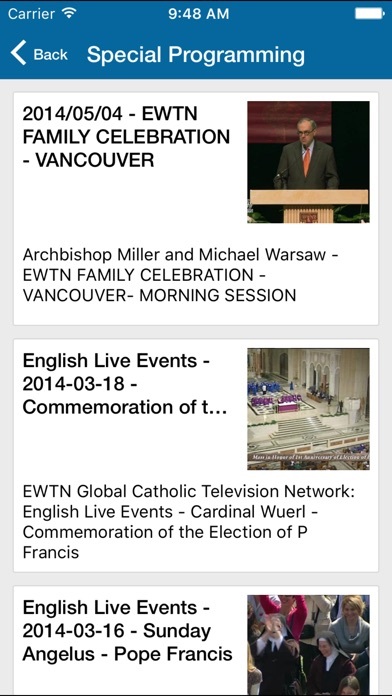 It is a very noticeable “hole” in this EWTN app. 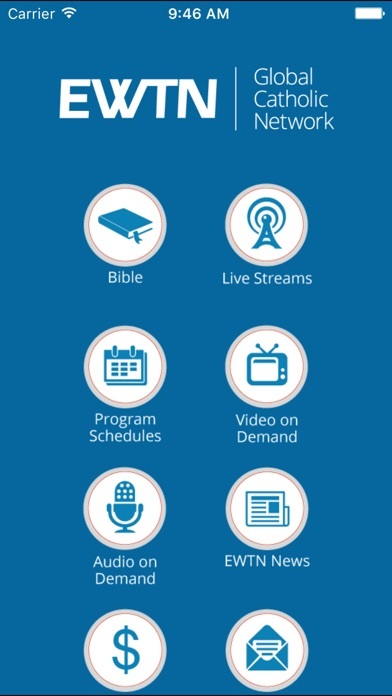 With various available translations, this EWTN app would be the “crown jewel” app for the priesthood, laity, and colleges/university. Not offering this is causing EWTN to miss the ecclesiastical “bus”! God Bless and Peace Be With You All.